The first Swansea Branch of the Historical Association was established in 1923. Unfortunately, the activities of the branch are unknown as no local documentation from that time has survived. All that is certain is that by 1925 it had ceased to meet. Following a suggestion by the Historical Association's Propaganda and Organisation Committee, a meeting was held on the evening of Friday 16 November 1928 at the High School for Girls in Swansea, in order to discuss the advisability of reviving the branch and the form that its activities should take. The meeting was convened by Mr W Norton Medlicott, who has gained fame within the Historical Association with the Medlicott Medal awarded annually in his honour. The attendance at the meeting numbered about eighty, despite one of the worst gales of recent years. At the meeting, Mr F S Marvin, chairman of the HA's Propaganda and Organisation Committee, spoke of ‘The New Spirit in History Teaching', after which it was moved that a Swansea and District branch of the Historical Association be formed; this was carried unanimously. Professor Ernest Hughes was elected the first chairman of the revived branch, with Norton Medlicott becoming the branch secretary. At its first committee meeting twelve days later, discussion took place regarding the intention to provide lectures given by distinguished, non-local historians, and the setting up of three study circles in respect of the Teaching of History, Local History, and International Relations. In addition, the committee considered social activities such as excursions to places of historical interest. The new branch's first general meeting took place on 7 December 1928 with about sixty people in attendance. At the close of this meeting, the branch secretary, Norton Medlicott, announced that the new branch had already made a most satisfactory start, and that if this was continued the branch promised to become one of the most flourishing in the country. The first public meeting of the branch was held on 25 January 1929, when an inaugural lecture was given by Professor J F Rees of the University of Birmingham, who spoke on ‘Tudor Policy in Wales'. At its first Annual General Meeting on 22 June 1929, the branch established its constitution, and the branch's bank balance was said to be ‘healthy' at a figure of £7 17s 9½d. By this time, membership had risen to 126, and it was said that this was ‘more than double that of the other branches in Wales put together'. It was hoped that membership would rise to 200 over the coming year. While this hope did not materialise into fact (membership a year later was still 126), it was claimed at the 1930 AGM that Swansea and District was the largest branch in Wales and its success ‘disproved the various gloomy forecasts that such a society could never get started in Swansea, and that if it did it would not long survive its anaemic infancy ...' The branch was to survive for about another seventy years before it once more ceased to function. However, 2009 saw another revival, with the third incarnation of the Swansea Branch showing a healthy promise for the future. By the end of 1929, the branch was looking to extend its sphere of influence westward into Carmarthenshire by holding meetings in the nearby town of Llanelli. At first, attendance was poor, but with perseverance a small membership was gained in that location. Soon, the branch was to change its name to the Swansea, Llanelly [sic] and District Branch. In 1932, the branch noted that a Tenby and Carmarthen District branch had been formed in west Wales. Many of the branch's meetings were held at schools, especially at the High School for Girls, but other venues included the Friends' Meeting House (which was free of charge but was occasionally too small), the YWCA building, and the University College of Swansea. Sometimes, committee meetings were held at the home of one or other of the branch officers, but this did not become the norm. On at least one occasion (the 1932 AGM), the café at a large retail store in Swansea was used as a venue. The Swansea Branch's plan to hold regular public lectures became a core aim, but the reality was not always as satisfactory as the intention. There were occasions when arranged speakers could not attend, causing talks to be cancelled. And some years saw no more than four or five public lectures taking place. The secretary's report at the 1953 AGM described the preceding twelve months as a ‘disappointing year' with very few talks. The view of a growing membership was also something that did not always become a reality. The AGM of 1931 saw a slight drop in membership to 114. A year later, the figure was 101, and by the 1933 AGM, the membership number had fallen to 68, clearly not a realisation of the aspiration of the branch in 1929. The 1931 AGM saw the bank balance of the branch having remained steady over the preceding two years, standing at £7 19 11d. But by March 1934, the balance stood frighteningly low at 11d. However, by the AGM three months later, this had risen to £3 0s 1d. Over the ensuing ten years, the branch continued its business reasonably well, even though petrol rationing and the blackout during the war years made travelling to talks difficult for some people. In February 1944, the branch sent congratulations to its former secretary, Norton Medlicott, on his election to the position of Honorary Secretary of the Historical Association. Also in 1944, the HA published its stance on The Planning of a History Syllabus for Schools. Consequently, the branch circularised the history teachers of South Wales, asking for suggestions about an ideal syllabus, and for criticisms and suggestions on the existing Higher Central Wales Board revised syllabus. The circular prompted only seven replies. It can be seen that in the mid-1940s the problem of gaining the interest of schools was similar to that which the branch encounters today. In 1957, the branch committee agreed that if an interested representative from a secondary modern school could be found, that person should be co-opted onto the committee. From the start, the branch considered the benefits of collaboration with other organisations, and to this end arranged joint meetings with, among others, the Classical Association, the Geographical Association, The League of Nations Society and the National Council for Civil Liberties. Today's Swansea Branch is also proud of its collaborations with other bodies, such as the National Waterfront Museum, Cadw, the South Wales Record Society, the Swansea Astronomical Society and others. By 1951, attendance at general meetings had become ‘regrettably small', and the 1953 AGM saw an attendance of just thirteen people. But as the 1950s progressed, so the membership gradually increased, and the committee strove to find ‘new forms of activity which might arouse greater interest in the branch'. During the Historical Association's golden jubilee year of 1956, the branch tried to organise a joint meeting of the south Wales branches, but was unsuccessful owing to lack of support. It also made an attempt to arrange a meeting with the Aberystwyth branch, but this, too, foundered. As the 1960s began, branch membership stood at 32, but by 1961, this had risen to 44. By 1965 there were 63 members, but only about fifteen of these turned up at that year's AGM, which opened at 5.15pm and was all over twenty minutes later. The AGM with the lowest attendance seems to have been that of 1969, when there were present the chairman and ‘about six' members of the branch; but the membership of the branch at this time was 94, which may illustrate that an annual general meeting is not everyone's cup of tea. At this meeting, the balance of funds was given as £12 2s 0d, but it was stated that after all expenses had been paid, it would be as low as 14s 11d. The 1970s saw membership exceed 100 again, standing at 106 by the AGM of 1971; and by 1972, the figure had reached 130. However, the financial position was not healthy. The AGM of 1974 heard that there was a ‘small deficit' which, by the end of the year, might be about £10. But on a more optimistic note, the branch committee now included at least two secondary school teachers in its number. The branch remained active through the 1960s, 1970s and 1980s; indeed some members served the Association nationally, and in this period the Historical Association's national conference was held in Swansea. However, in the 1990s, the branch began to run out of steam. The University College of Swansea, as Swansea University was then known, and where most of the branch's lectures were held, became more expensive and less welcoming; sixth-formers and students ceased to attend unless promised a lecture that was guaranteed to ‘appear on the exam paper'; the wider ‘general public' faded away; and the branch became run by too narrow a group, largely drawn from the University. Also, ‘Head Office' ceased to show interest or offer support. Unfortunately, by the turn of the new millennium, the Swansea Branch had ceased to function. However, within the decade, the branch was to see yet another revival. The branch's ‘renaissance' was largely inspired by: the evident interest in history demonstrated by flourishing district history societies; a growing awareness of the value of regional archives and museums; the high-profile work carried out in the area by such bodies as Cadw, the Royal Commission on the Ancient and Historical Monuments of Wales, and the Glamorgan-Gwent Archaeological Trust; and an increasingly serious interest in family history. Such active interest in the past was, and still is, demonstrated by an annual exhibition of publications on local history held under the auspices of the Royal Institution of South Wales in Swansea Museum. The popular courses run by Swansea University's Department of Adult and Continuing Education were a further confirmation that there would be interest in reviving the Swansea Branch. This latest revival of the Swansea Branch took place late in 2009 following a number of open meetings to gauge interest, and by the end of 2010 the local membership stood at 131. A key element has been the support of the National Waterfront Museum, part of the National Museum of Wales, which has consistently been generous in terms of support, facilities and publicity. Taking events ‘off campus' has made the branch more accessible to the general public, though the branch has nevertheless benefited from a close relationship with Swansea University. A large number of lectures has been presented or offered by members of staff; a very lively Postgraduate History Society has supported the programme as well as linking the branch to the student body; the University has helped the branch invite to Swansea some distinguished outside speakers; and negotiations are underway to revive a previously very successful diploma in local history. 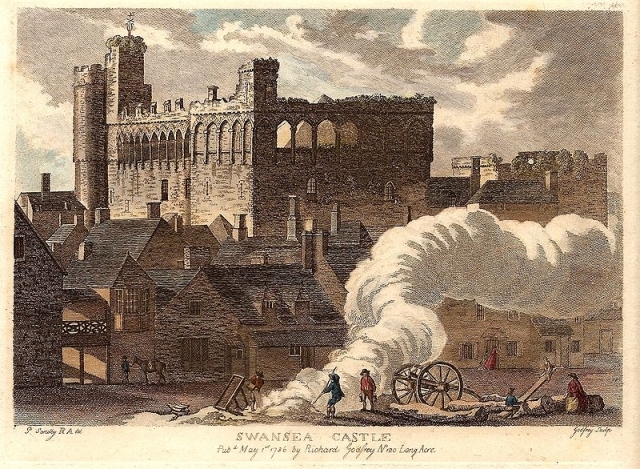 Other factors behind the revival of the branch include: the support shown by the City and County of Swansea; collaboration with other societies; a good relationship with an enterprising local bookshop; the encouragement offered by Head Office; and the establishment of an informative and ‘connected' website. Perhaps most importantly of all, the branch has been guided by a congenial committee ‘of all (or at least of many) talents'. Lest this account of the Swansea Branch appear too self-congratulatory, one total failure has to be acknowledged. Hitherto, despite efforts, the branch has not been able to establish any working relationship with local schools and colleges, though it realises that this is very much part of the Association's agenda, and that History is actively and effectively taught in the region. But, for the present, the branch hopes that its readiness to be accessible, to collaborate with other interested bodies and to offer a varied programme of lectures, visits, conferences and research initiatives will in due course alert colleagues in the school and college sector as to what the Association has to offer, nationally and locally.